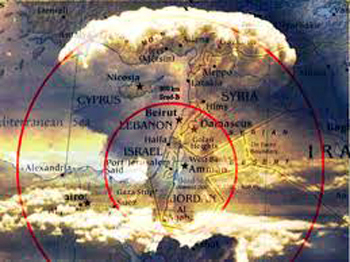 Home › Bible Prophecy › Will The Coming Attack On Syria Spark A Global War? Will The Coming Attack On Syria Spark A Global War? I sat down with Boyes in our London newsroom. He acknowledged that the conflicts coursing through a half-dozen Middle Eastern countries did not come from a single source, nor did they stem from a single reason. And Boyes warned that, as in August 1914, the world was not paying enough attention. The news certainly seems to get worse by the day. The West is now directly blaming the Assad regime for using chemical weapons against its own people in Syria. The drumbeat toward a military strike in Syria grows louder by the hour. The U.K. is “making contingency plans,” according to the prime minister’s spokesman. “The use of chemical weapons in the 21st century, on a large scale like this, cannot go unaddressed, cannot be ignored,” warned the French president. Western officials warn that the decision of whether to attack Syria will be made this week. ‹ National I.D. Coming Soon? I told my sister on the east coast to get her affairs in order and stock her pantry, as war is coming. The Holy Spirit told me 3 years ago that fall 2013 would bring great tragedy upon the world. Now here we are. Pray.